The second half of my Pony Effect package from Memebox! Some other highlighting products they sent me were the Radiance Glow Hydrating Starter* and the Strobing Luminizer*. 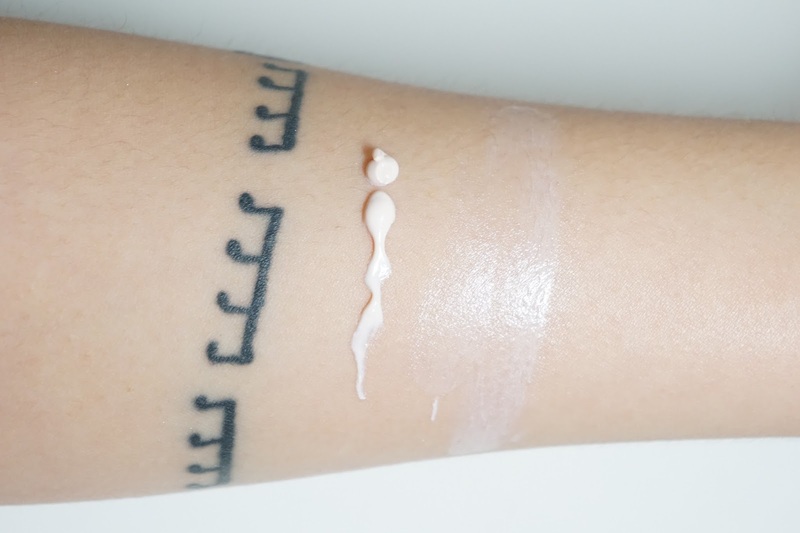 Along with being a highlighter fan, I'm also a huge fan of liquid illuminating products since they can be more versatile without making my skin look dryer. The Radiance Glow Hydrating Starter contains 30 mL / 1.01 fl oz of product and the Strobing Luminizer contains 34 mL / 1.15 fl oz of product, but both products retail for $21 (On sale for $17 until 6/7/2016 though!!). 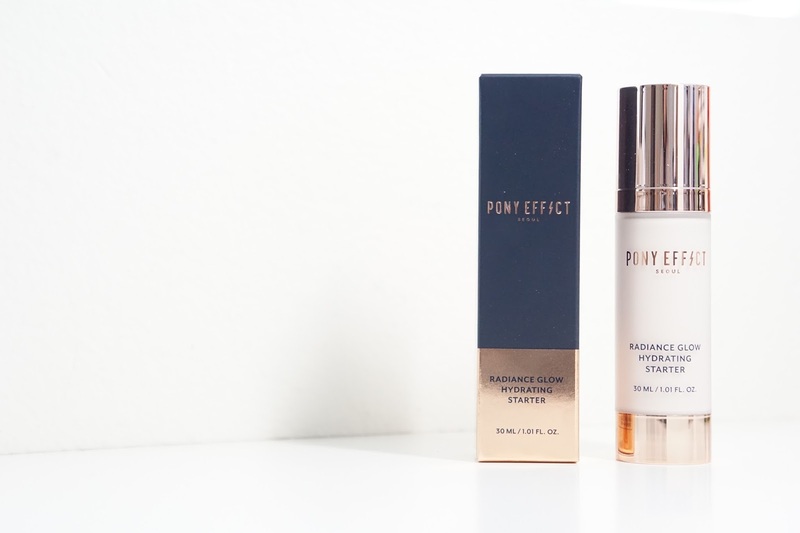 The Pony Effect Radiance Glow Hydrating Starter* claims to illuminate, hydrate, and brighten the skin without any visible shimmer. It's also supposed to improve fine lines and act as a primer to help makeup go on evenly. The product has the same texture as a light moisturizer and it blends in just as easily. As a person with mostly dry skin and a somewhat oily t-zone, I've been able to use this as a light moisturizer and also on top of other moisturizers when I want more moisture with a non-shimmery glow. It adds a fair amount of dewiness to your skin and so I feel like those with oily skin should stay away from this. There's no claim to prolong your foundation and so even though it'll help other base products apply on easier, it's not going to make it last longer than normal. I personally like this, but it doesn't make a huge difference to my appearance. It'll probably be more useful for me during winter though when my skin is more dull though. 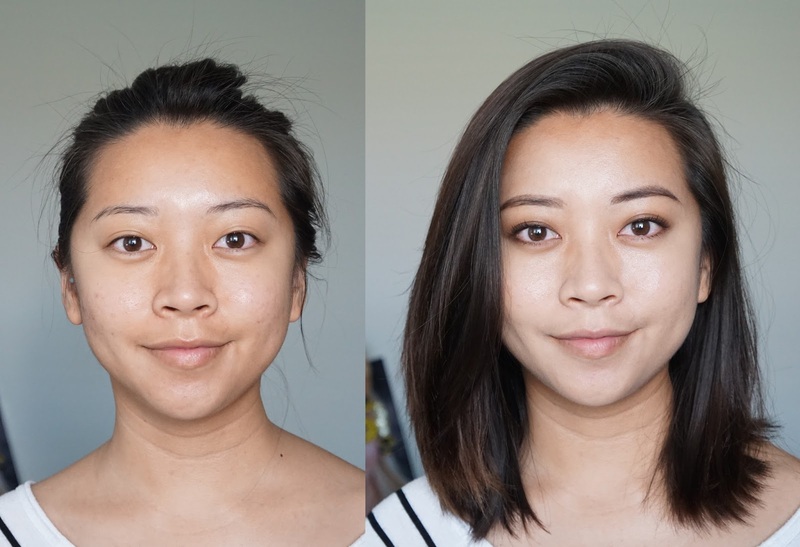 It pairs up well with my more matte foundations to make my face not look as flat, but I would rather get the Strobing Luminizer since it's more versatile. 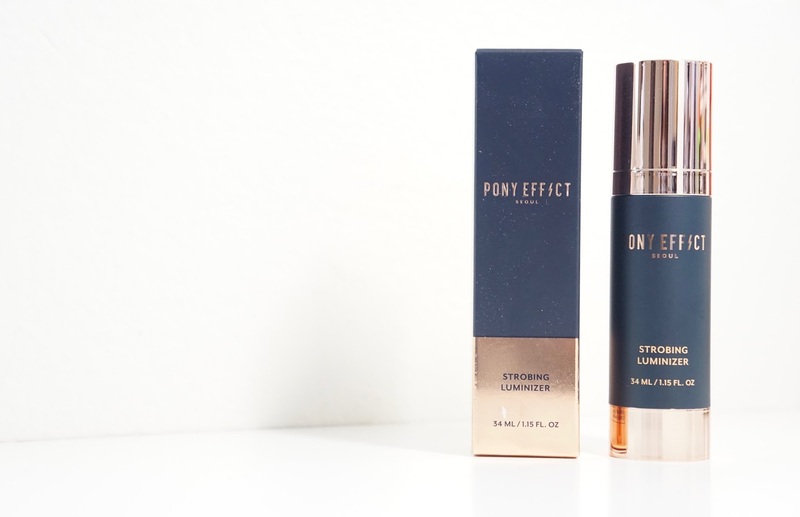 The Pony Effect Strobing Luminizer* can be used as a subtle shimmery base or on top of makeup to highlight the high points of your face. 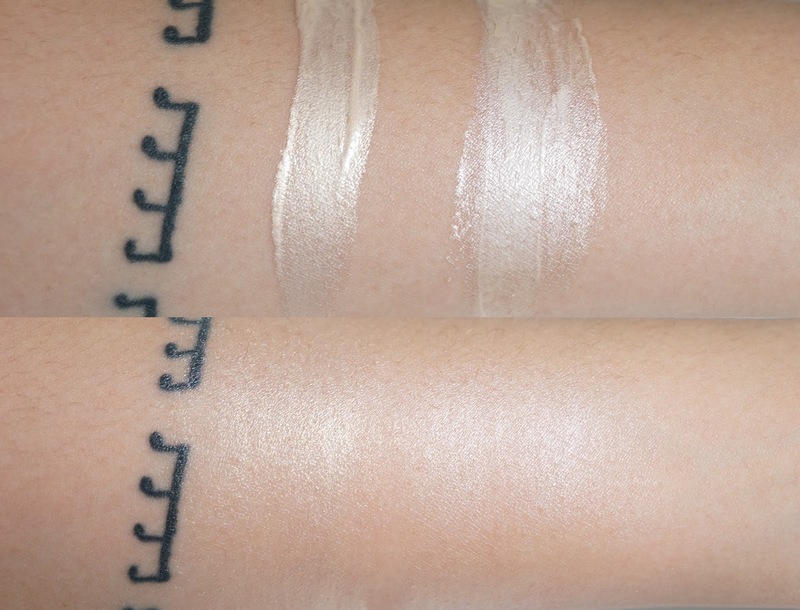 The shimmer is very fine like the Mirage Highlighters and the effect is subtle. You can build it up though to make certain parts of your face more highlighted. 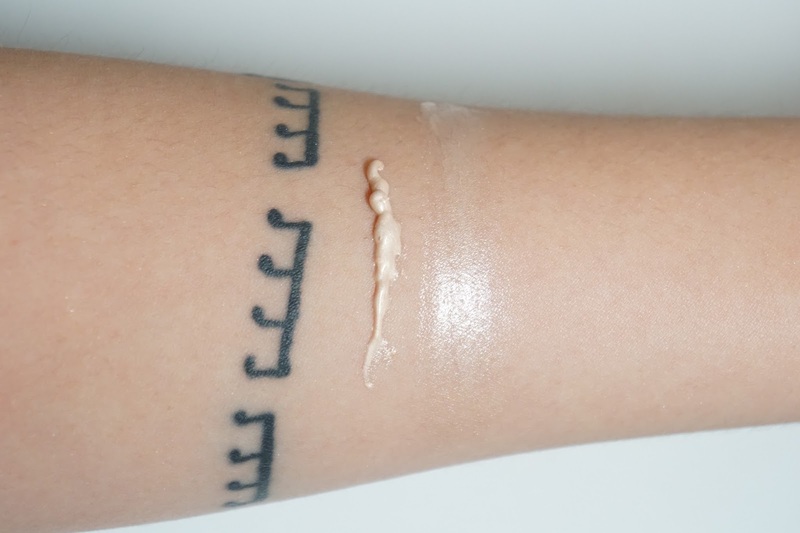 The Strobing Luminizer is a pale slightly yellowy beige liquid illuminator. It's a bit thinner than the Radiance Glow Hydrating Starter but blends out just as easily. I have a bit of ghost face going on in these pictures because I was testing out a new foundation I was sent. It's also one of the few matte foundations I have though and so I thought it was a great choice to test out with the Radiance Glow Hydrating Starter and Strobing Luminzier to see how glowy I can get. 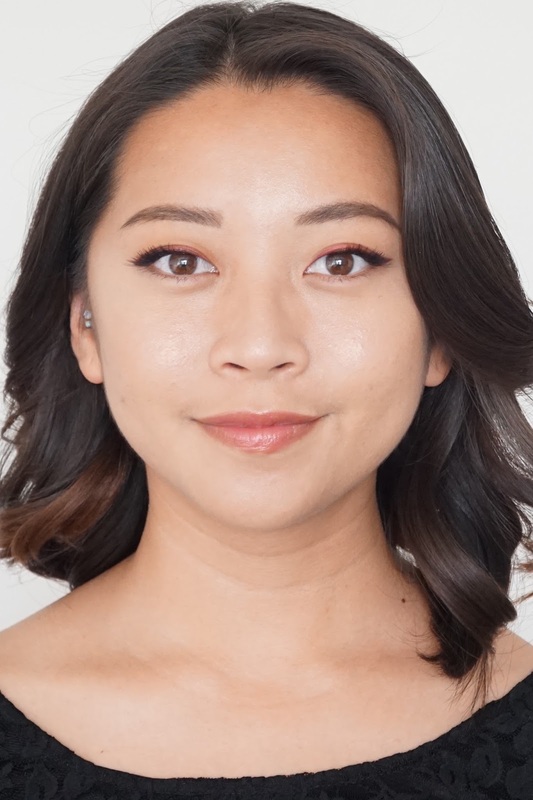 The foundation has more of a soft matte finish but the Radiance Glow Hydrating Starter helped add dewiness back into my skin to make it look more natural. 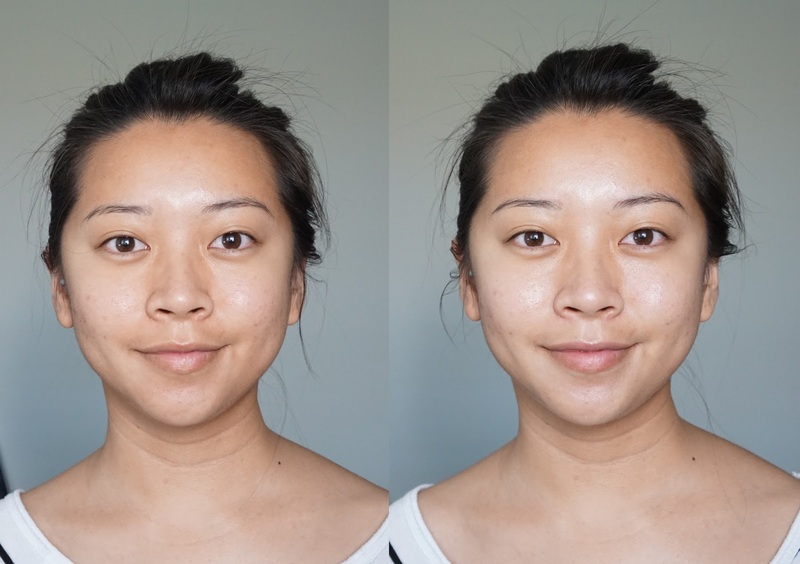 The Strobing Luminizer is a subtle product, but it also helped brighten up the center of my face and draw in more light without looking oily. When I first swatched the Strobing Luminizer, I immediately thought of the Becca Backlight Priming Filter. The color and finish are very similar, but the Backlight Priming Filter is a bit more white while the Strobing Luminizer is a bit more yellow. They're both sheer products and so I don't really notice the difference once it's blended into my face though. Like the Becca Backlight Priming Filter, the Strobing Luminizer can also be used under makeup and it also gives the same effect. 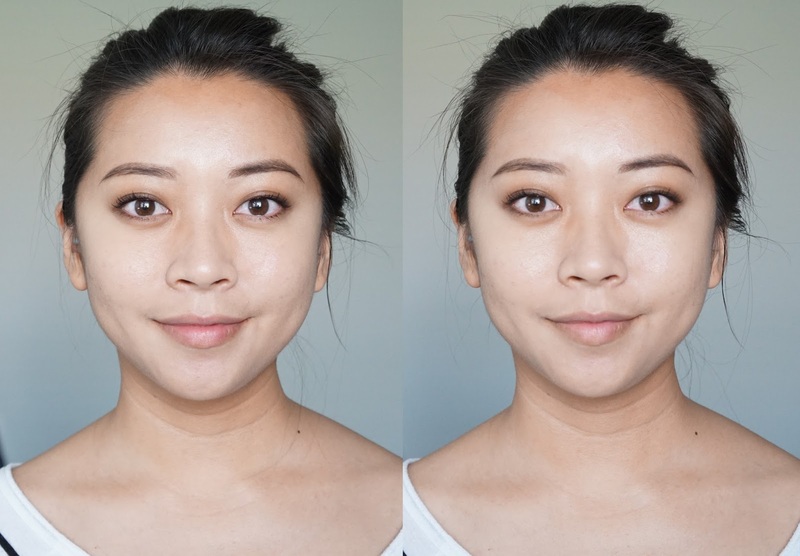 The wear time of the foundation isn't affected by the Strobing Luminizer, but it does make makeup go on smoother as well. I've been using both products and love them together, but I see myself just using the Strobing Luminizer in the future since it can be used under and on top of makeup. Even though the Strobing Luminizer is somewhat subtle compared to other liquid highlighters on the market, the Radiance Glow Hydrating Starting might be a better choice if you want no shimmer at all. It's really up to your personal preference. Also apparently, I need to go smokier to hide my dark circles. By the way, I posted a similar picture of the above makeup look on my Instagram recently and I had a few questions about the glow. I actually got this healthy glowy look with the help of the Pony Effect Radiance Glow Hydrating Starter, Strobing Luminizer, and Mirage Highlighter in Lucid Dream. For some reason, both of these products smell like a nice salon or men's cologne. It's subtle, but I kind of dig it. I just have dry skin though and not sensitive skin, but these didn't cause any irritations or break outs. Final Thoughts: I really enjoy both products, but I highly recommend getting the Strobing Luminizer and maybe skipping out on the Radiance Glow Hydarting Starter unless you have dry skin. The natural glow that comes from both products are amazing though. I haven't been sleeping well and so these products are perfect for brightening up my tired dull skin. I think the Strobing Luminizer is a great alternative to the very popular Becca Backlight Priming Filter as well. 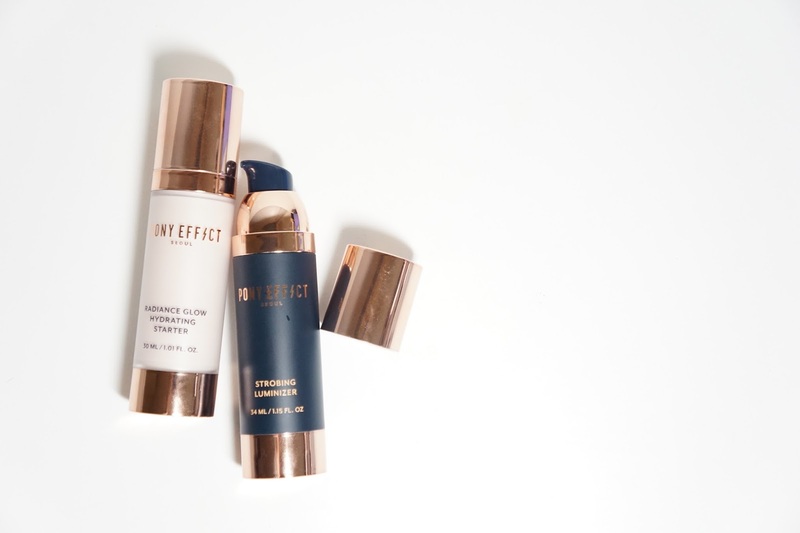 They're both lightweight products and so they're really easy to integrate into your makeup or skincare routine. I definitely checking out at least one of these products! They also pair up beautifully with the Mirage Highlighters I reviewed here. *Memebox sent me these products for free to review. All opinions are my own and 100% honest. And now to the exciting part! If you've made it all the way to this long review, you should be proud of yourself! The nice people at Memebox has offered to send one lucky reader the same products they sent me - the three Mirage Highlighters, Radiance Glow Hydrating Starter, and the Strobing Luminizer. It is USA only though since they'll be the one shipping it out instead of me. You must be 18 or over to participate. If you're under 18, you need to have your parent's permission to enter. All entries must be logged in the Rafflecopter Widget below. You also must do another option that directly involves Memebox. (Subscribe to their newsletter, follow their Instagram account, or tag me and them in an Asian Beauty related Instagram post). All other entries are optional, but they will give you more chances to win. GIVEAWAY | The awesome people at @memebox_usa has offered to giveaway the same @ponyeffect_korea products they sent me to one of my lucky readers in the USA! Check the blog post in my profile to learn how! Since these rules are different from usual, please let me know if you have any questions! Good luck!